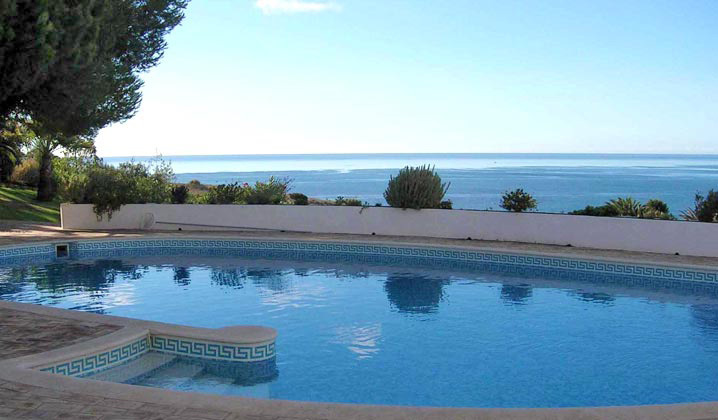 Quinta da Cama da Vaca is a peaceful and secluded villa set in a 3 hectare coastal plot halfway between the villages of Praia da Luz and Burgau. It offers a large heated swimming pool and private tennis court, is surrounded by beautiful mature landscaped gardens and benefits from direct access to the coastal path. All the main rooms in the house have high ceilings and a spacious feel and enjoy views of the ocean.